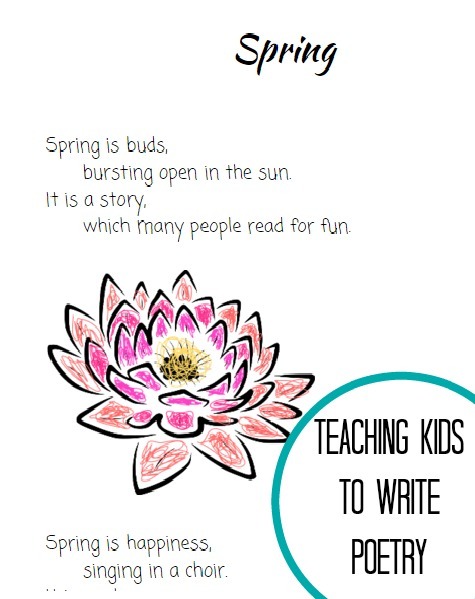 Smarty has been writing poetry on and off since she was in preK. 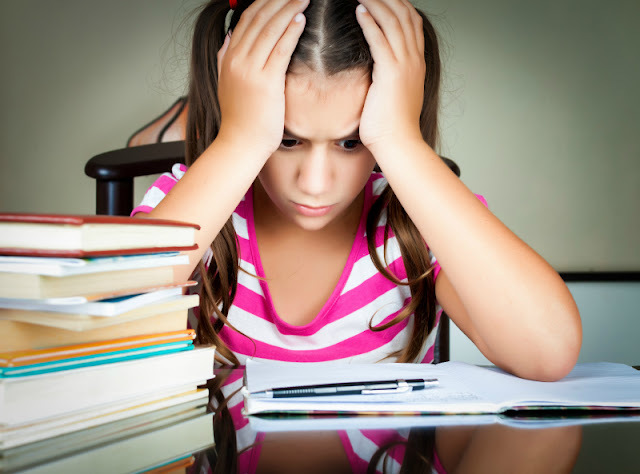 Now, at 9, she is getting interested in how to make her poems more interesting. Here is her attempt at a metaphor poem. I stumbled upon across a great book in the library that is very helpful for young (and old) poets - How to Write Poems by Wes Magee. 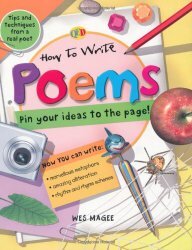 This book gives a brief introduction to different types of poems and then every double page explores specific technique that might be useful for poetry writing. 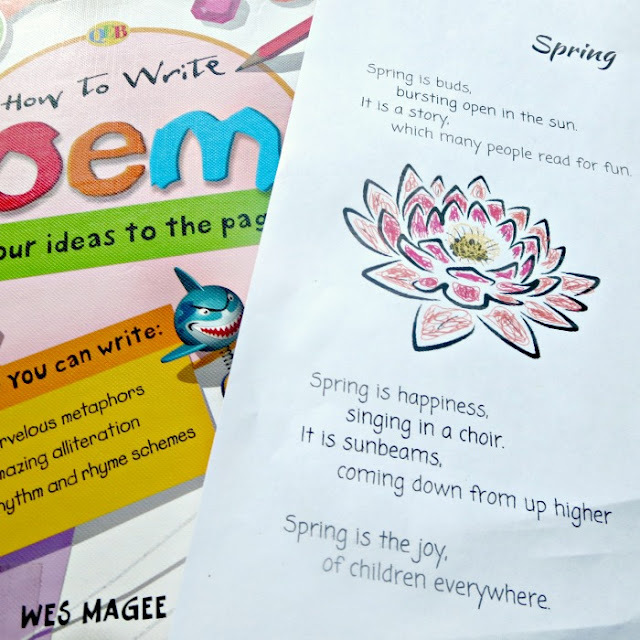 For some reason, Smarty was especially interested in the page that explored metaphors and similes and was inspired to write her own metaphor poem about spring. Bursting open in the sun. Which many people read for fun. Coming down from up higher. You can roam without care. Give it a marvelous cheer! 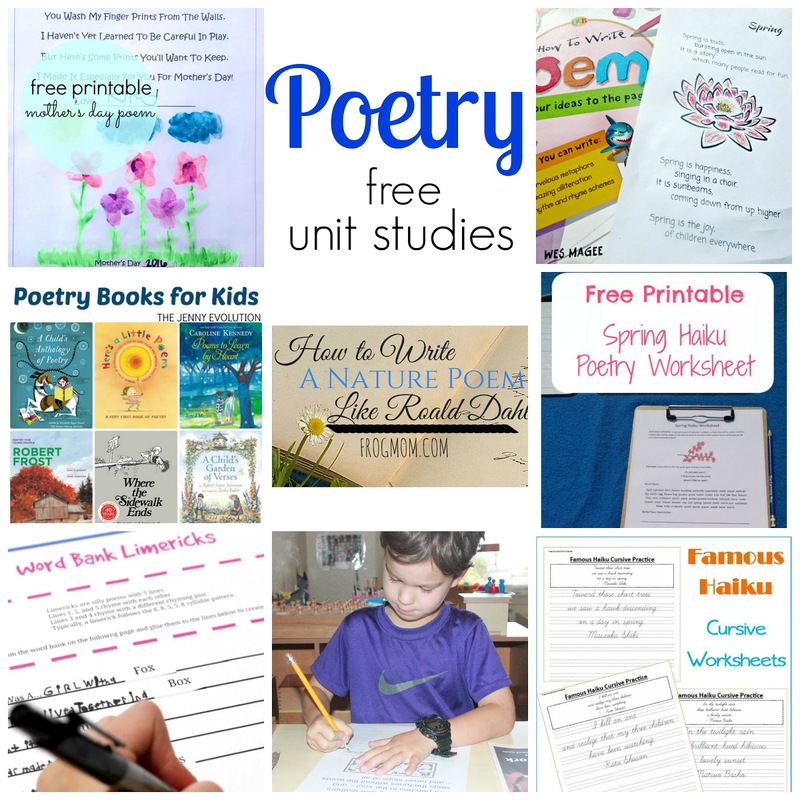 Are your kids interested in poetry? 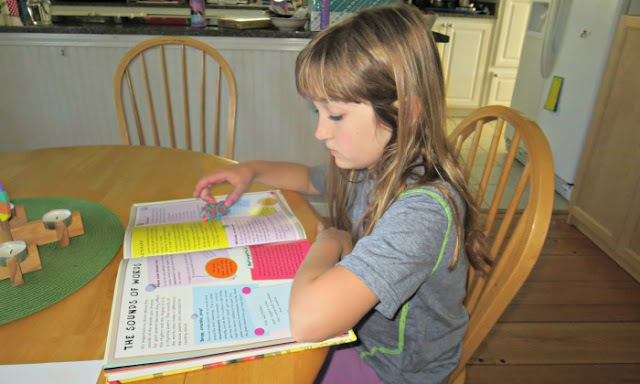 That looks like a good book to get. I have to at some point put off teaching poetry. I'm just being childish and complaining about doing it. That is a great poem! I bet Emma would enjoy this book. Johnny and Lily might, too - they have both written a few poems for school this year.